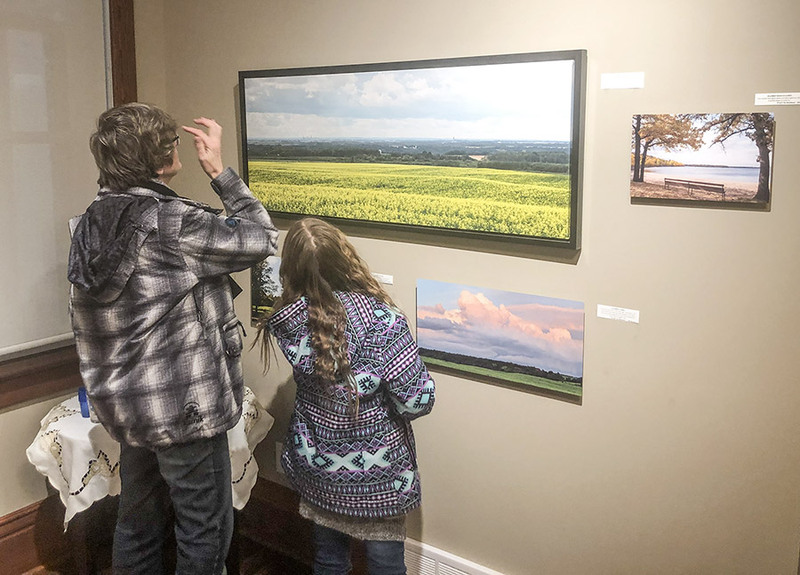 Jackie Mitchell, A One Woman Photographic Exhibition, opened this month with a lively reception at the Heritage Home for the Arts. It was Mitchell’s first time to present her work in a gallery show, after spending more than a decade as a professional photographer. Mitchell said she has some 40,000 photos banked up on her hard drive. But the ones she chose for the exhibit were selected from a narrowed number of 5,000. 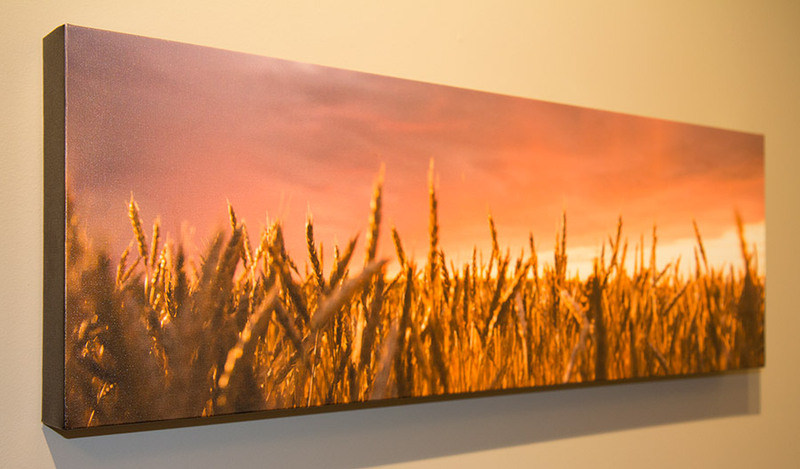 They have been mounted professionally in Winnipeg using super lightweight aluminium frames, and foam backing. A number of the photos in the show are for sale. The exhibition features many images from her travels throughout the world: shots of Paris, Vermont, the Hawaiian Islands, Florida, Arizona, and of course Killarney. Mitchell, who runs Jackie’s Photo at 543 Broadway, Killarney, said that back when she turned 45 she realized that it was time to make a significant turn in her life. Organizers were happy with the launch event, which coincided with very cold temperatures outside. Jackie Mitchell, A One Woman Photographic Exhibition, runs until Thursday, February 28 at the Heritage Home for the Arts, at 44 Water Avenue, Killarney (next to the Ag Grounds campsite). Hours are Tuesday to Friday, 12 noon to 4 p.m. Admission is free, but donations are appreciated. 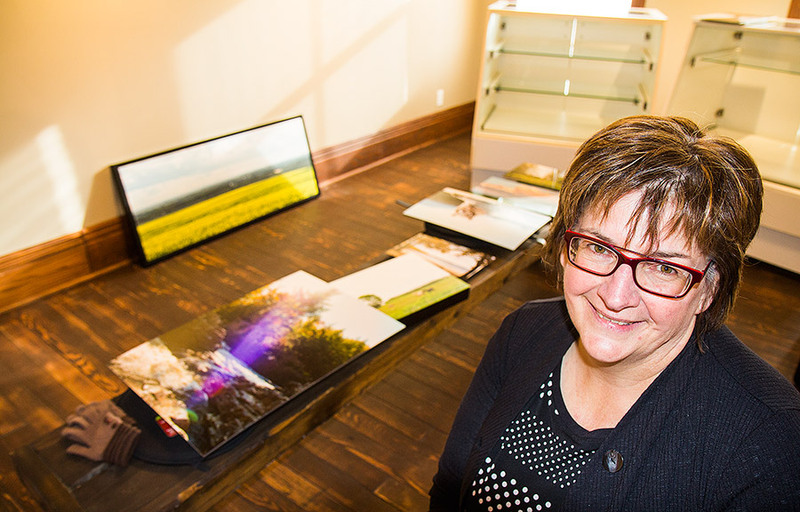 CAPTURING THE GREAT SHOT – Local photographer Jackie Mitchell is being featured this month at the Heritage Home for the Arts, with a first-time gallery show of some of her finest work. Below are some photos of her pictures during the setup of the exhibition, along with a couple of shots from opening night. 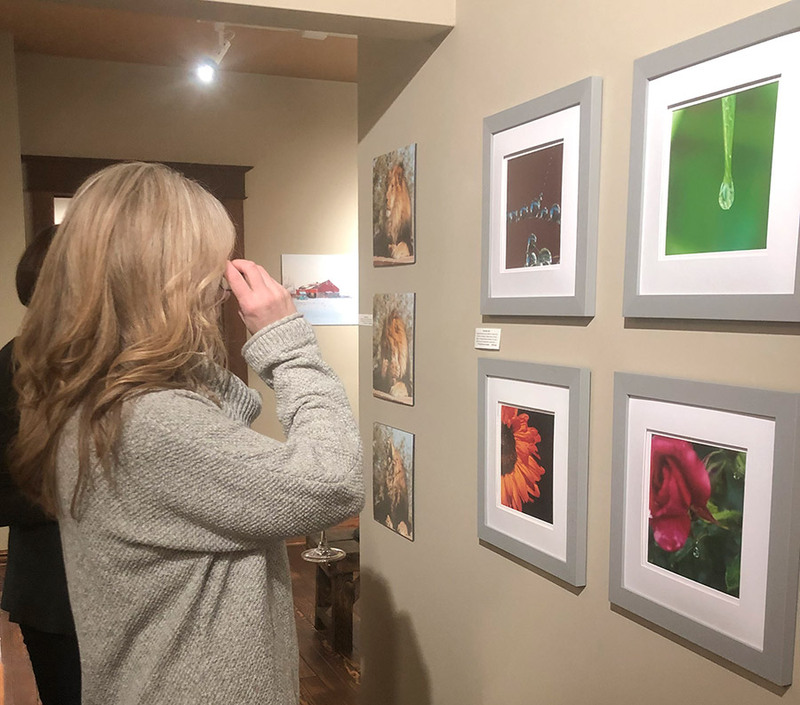 OPENING NIGHT AT THE GALLERY – Around 40 souls braved the weather on Friday, February 1, to enjoy the opening reception for Jackie Mitchell: A One Woman Photographic Exhibition. 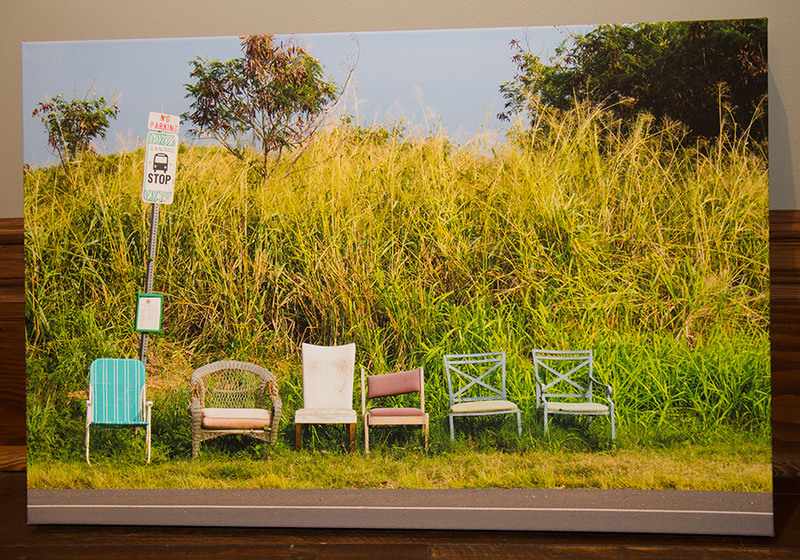 The vibrant display of images captured by local professional photographer Jackie Mitchell runs at the Heritage Home for the Arts until February 28.